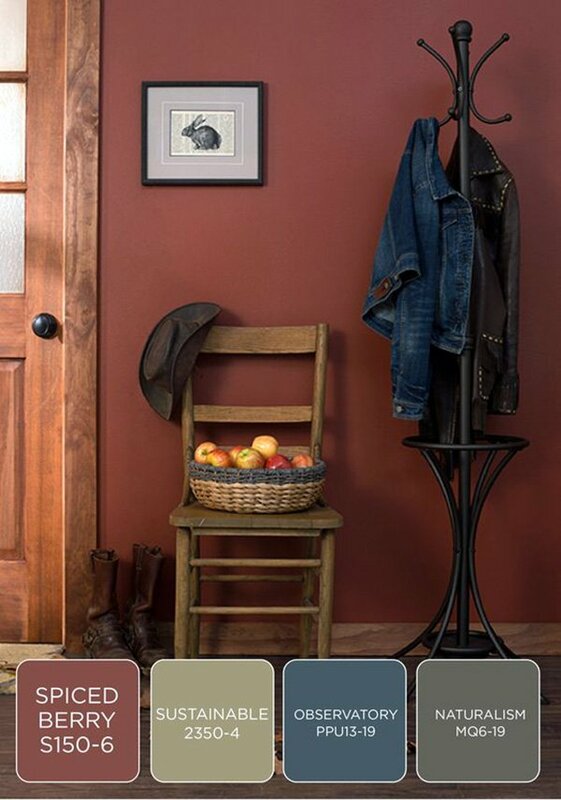 Choice of color is of great importance when it comes to decorating. So that’s why you need to do your homework and research before you make up your mind. 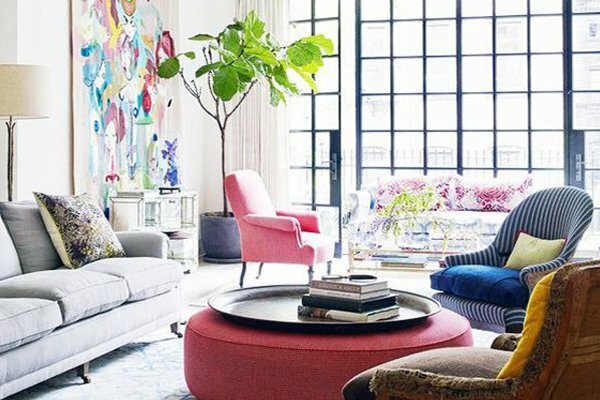 In this post, you’ll find amazing ideas that will help you decide which color to use for your living room. 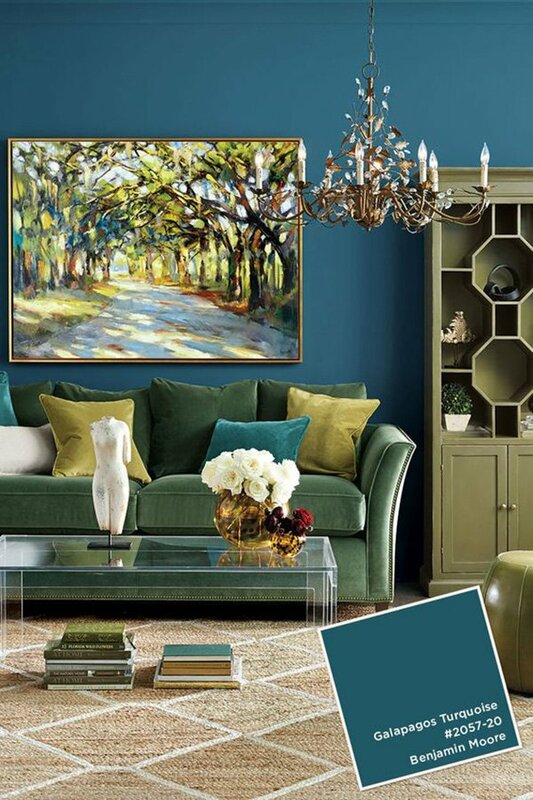 There are obviously some criteria to take into consideration before you choose the colors for your living room. 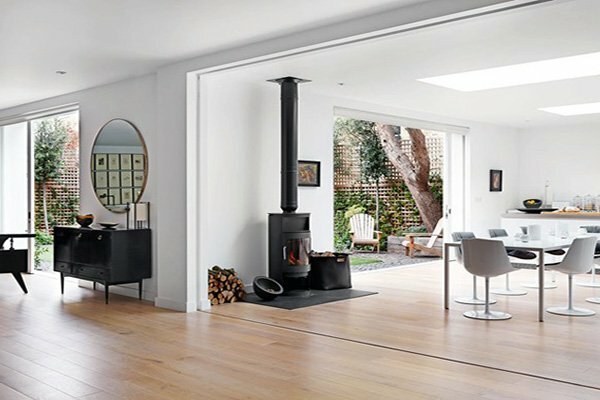 One of the most important of these is the space: how big is your living room? 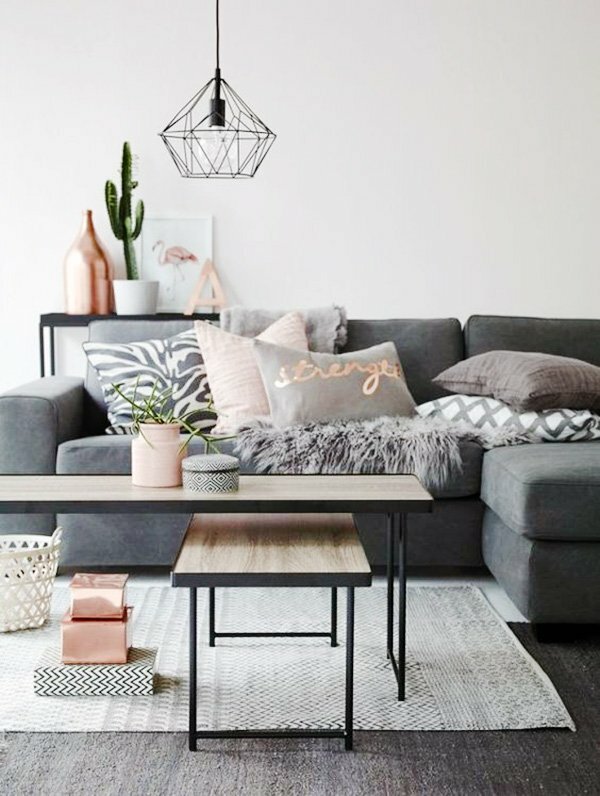 If your living room is rather small, we suggest choosing softer colors, so that you get the sense of a bigger, brighter space. 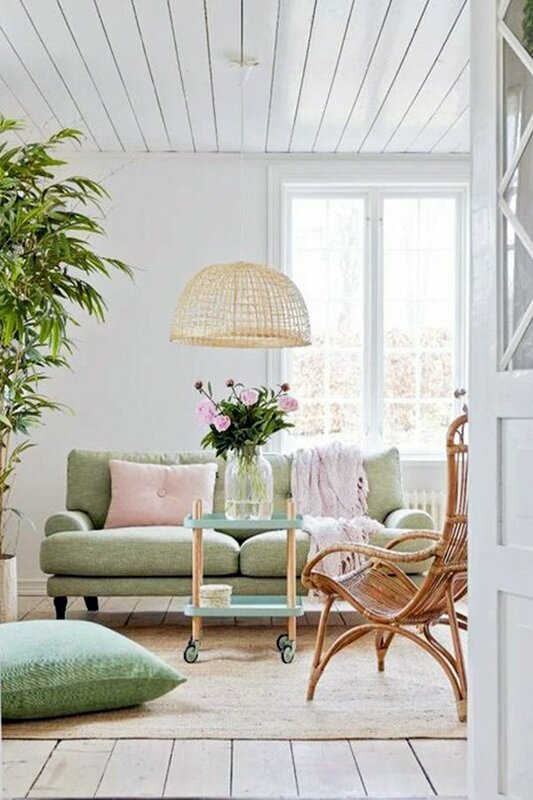 Pastel colors such as beige, ivory, light blue, and powder pink would definitely be a great choice for smaller living rooms. 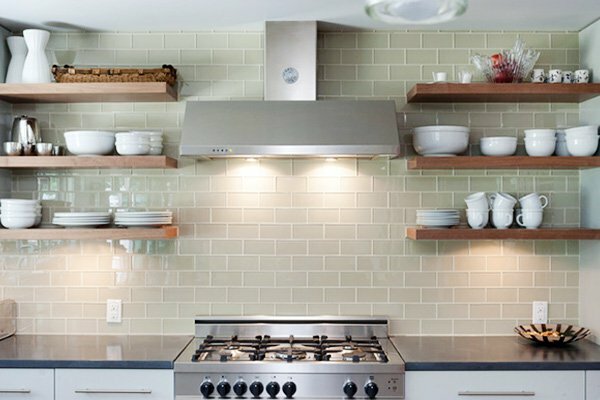 However, it would not be wise to opt for softer and lighter tones for the whole room. 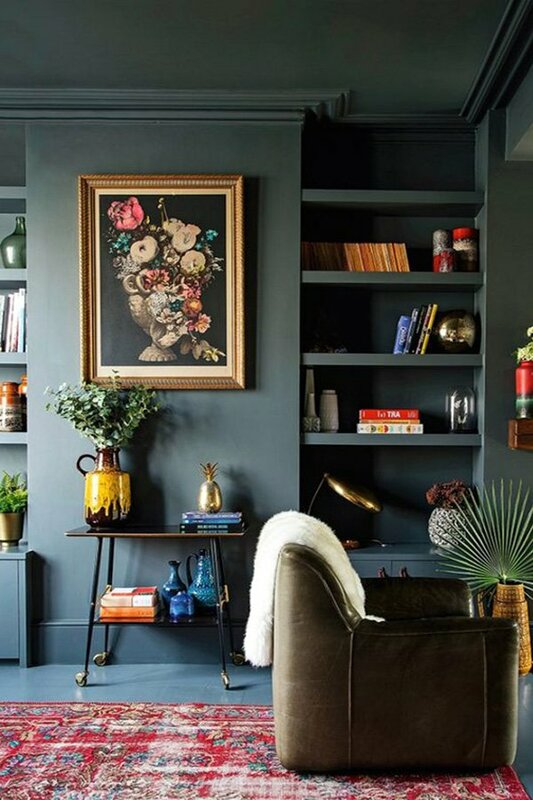 To balance it out, you should consider choosing darker tones for your furniture, lighting, and accessories. 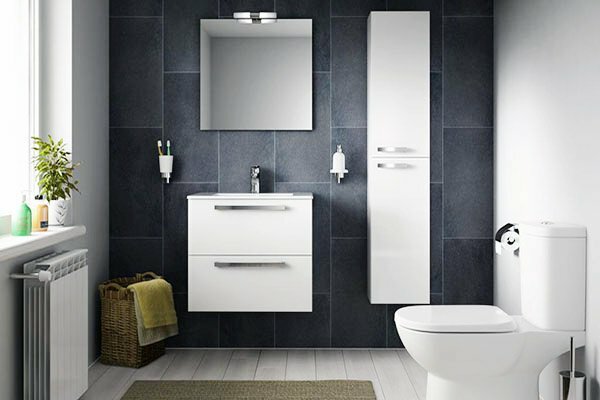 White is the ultimate color that goes well with every single color and tone. 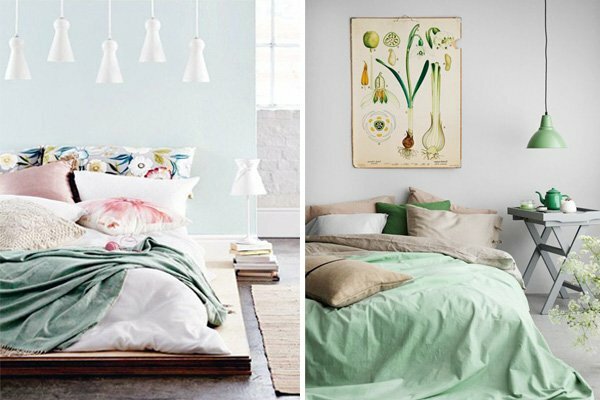 Whether you decide to go white on your furniture or on the walls, you will without a doubt capture that cozy, warm feeling. Then again, all-white living room might make you feel as if you are in a hospital – which is something that no one really looks for. Besides, it might not turn out to be all that elegant. 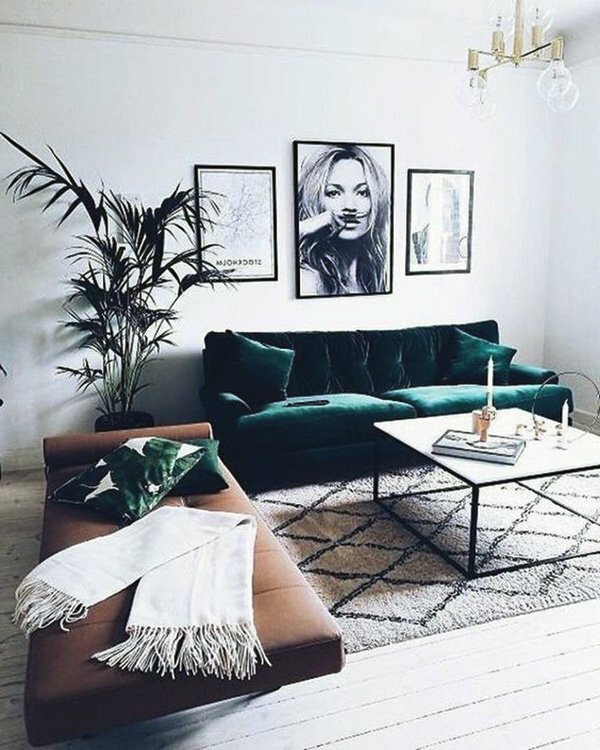 That is why you need to pay attention to the balance of colors, and if you opt for turquoise or green tones, you will definitely get that right balance and color combination as well as a very spacious looking room. 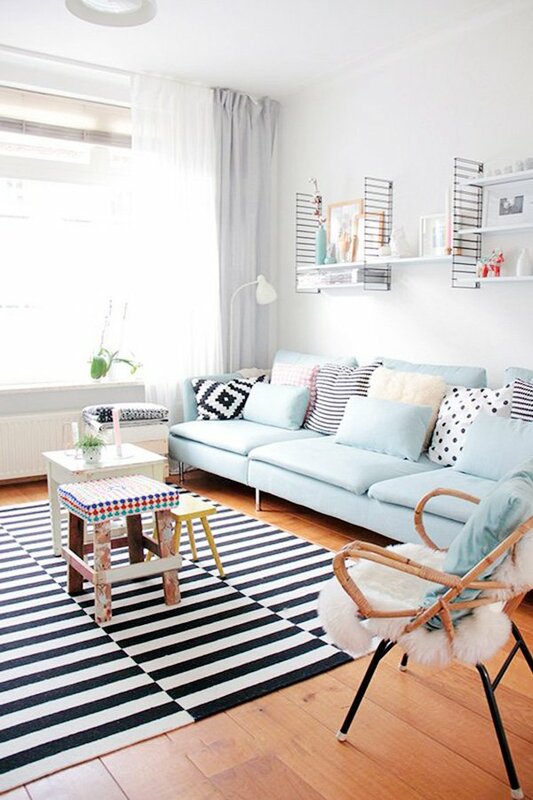 If your seating area is whiter than the rest of the room, you can choose colorful pillows and cushions. Those vibrant colors will change the atmosphere of your living room massively. If you luckily have a spacious living room, you might consider a different approach than we’ve described above. 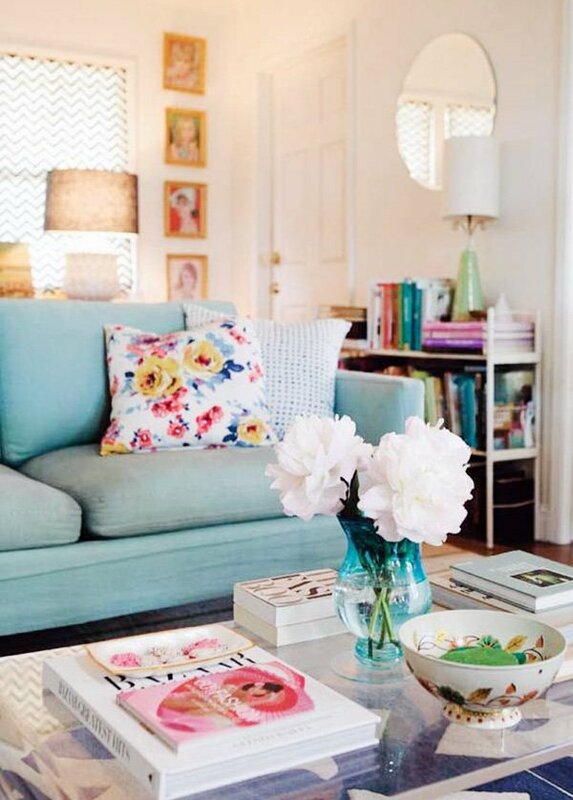 The colors of a spacious living room should be different than the smaller ones. 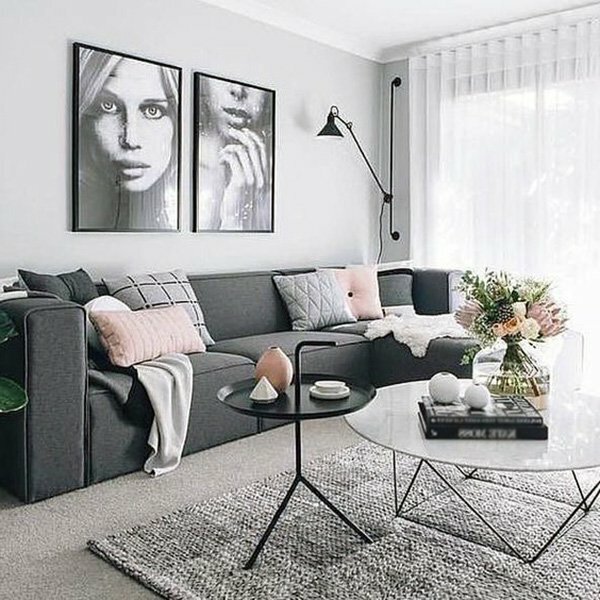 Smoke grey walls combined with fume and pastel tones would be just right for bigger rooms. 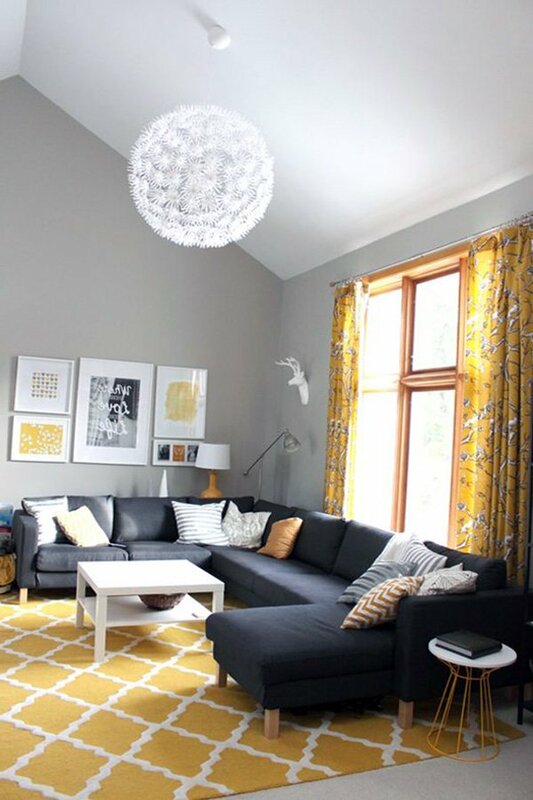 Alternatively, you can have a gorgeous living room decoration if you choose grey and yellow combination. 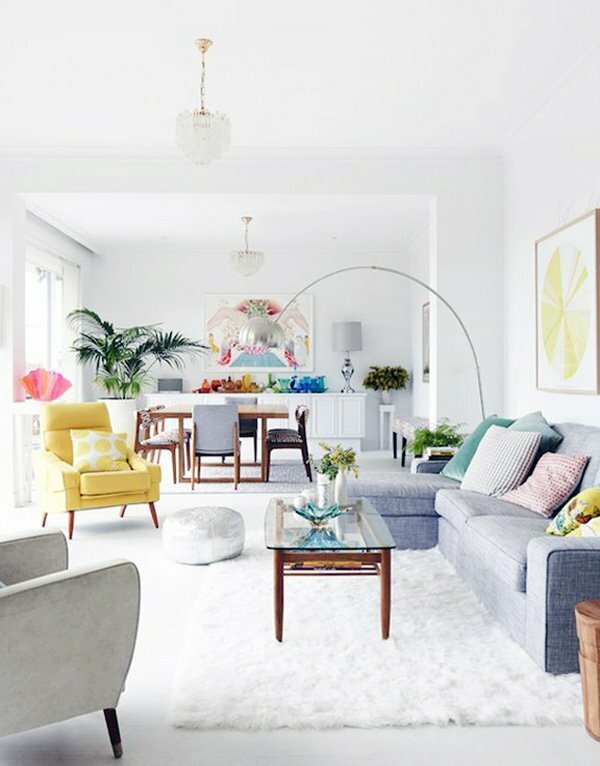 If you have still not decided with which color to go for your living room, you are more than welcome to check out the living room designs below and make a decision that will suit your own taste.